Its unmatched form of art. Its unmatched ability to create an addiction to new camera gear. Nobody has immunity. Photography will always have the last laugh. Camera manufacturers aren’t regulated in their fulfillment of a consumer’s addictions. And the single, most slippery slope of all is camera bags. You can never have too many camera bags. 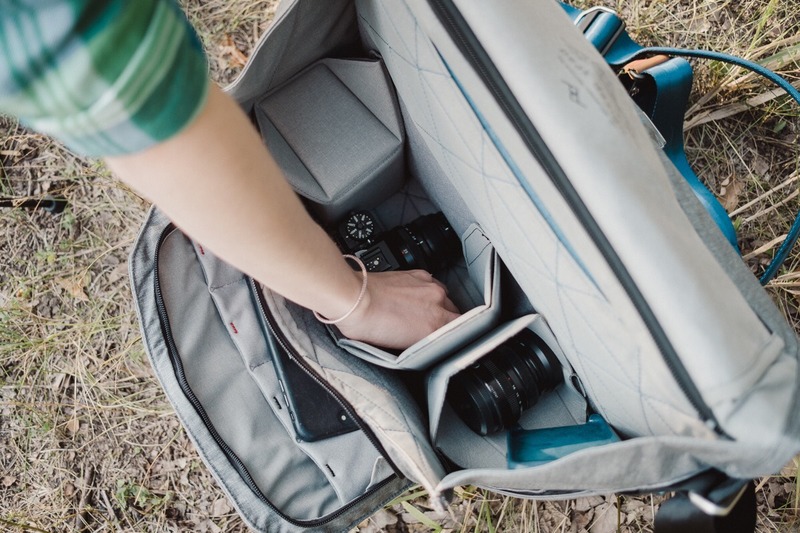 There’s no such thing as the perfect camera bag. It’s very easy to justify buying a new camera bag. I haven’t developed a full immunity to the syndrome. My first camera bag was some sort of sling from ThinkTank — it looks more like a diaper bag than a camera bag. My second was a stylish leather ONA Berlin II, but it wasn’t large enough for my actual camera gear addiction. My third has dramatically quenched my bag-addicted thirst. Fortunately. 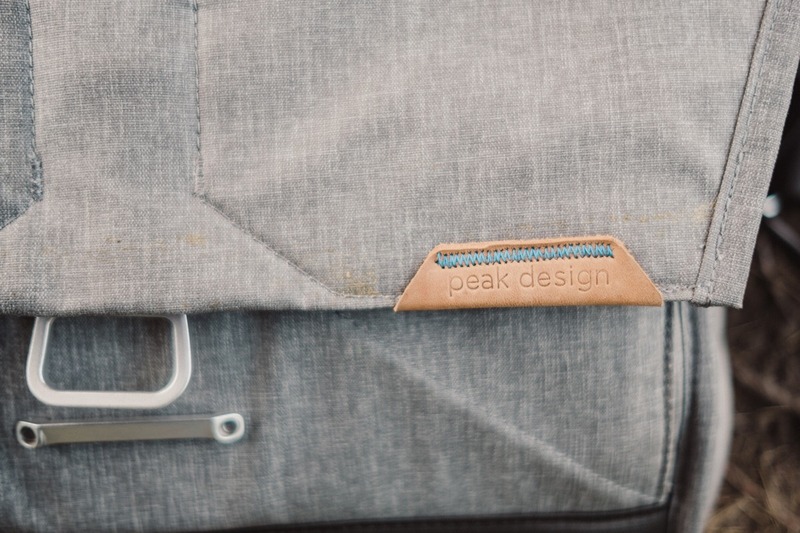 The Peak Design Everyday Messenger is one of the most successful and most widely known camera bags on the market, as it was born out of one of the most successful Kickstarters in history. 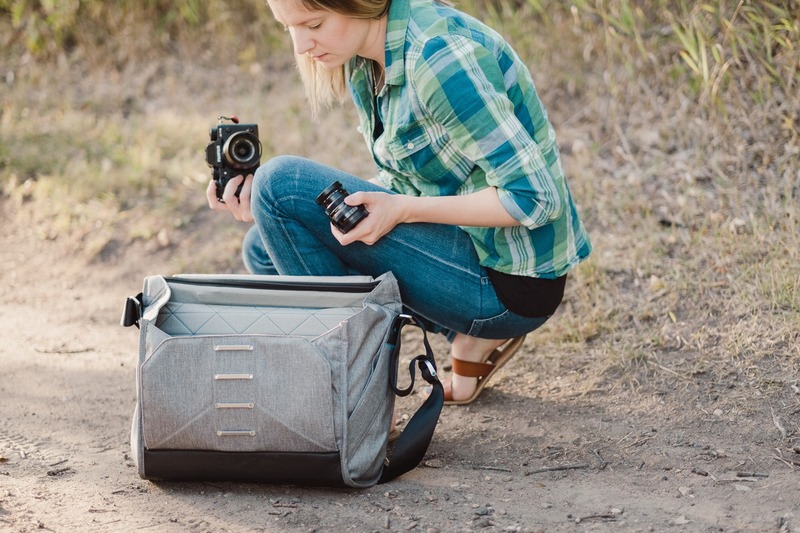 Peak Design partnered with Trey Ratcliff — a renowned travel photographer — to create a bag that could meet your travel, business, or everyday carry needs. Keep these few changes in mind should you be shopping on eBay — original Everyday Messengers won’t have the upgraded FlexFold dividers, which are truly the star of the show. 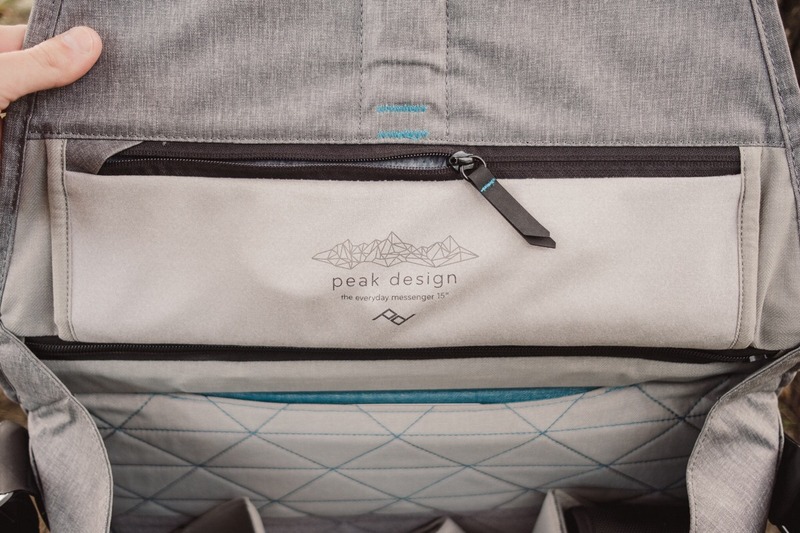 Peak Design never skimps on materials or build quality, so its moot to say this bag will make it through just about anything you throw at it. The exterior shell is made of a weatherproof 400D nylon canvas, has high density padding underneath, and zips shut with weatherproof zippers. I’ve never truly put the weatherproof shell through the rigours, but the high-density padding protects from bumps and helps maintain the bag’s overall shape. The zippers are a letdown, despite the marketing. The zippers feel of good quality (not great), have a weather-sealed lining to keep out the elements, and have particularly poor leather pulls. They split, so getting a good grip is more cumbersome than it needs to be. 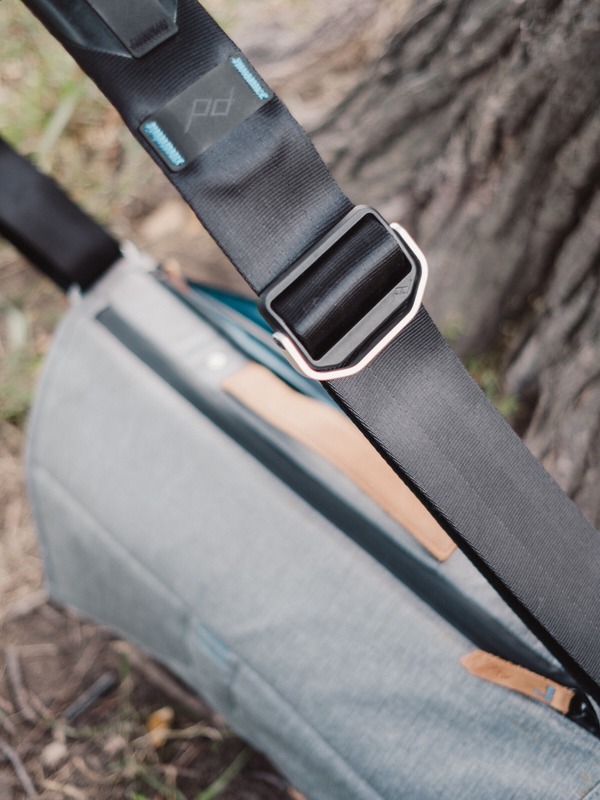 There’s no skimping on the Everyday Messenger’s shoulder strap, though. 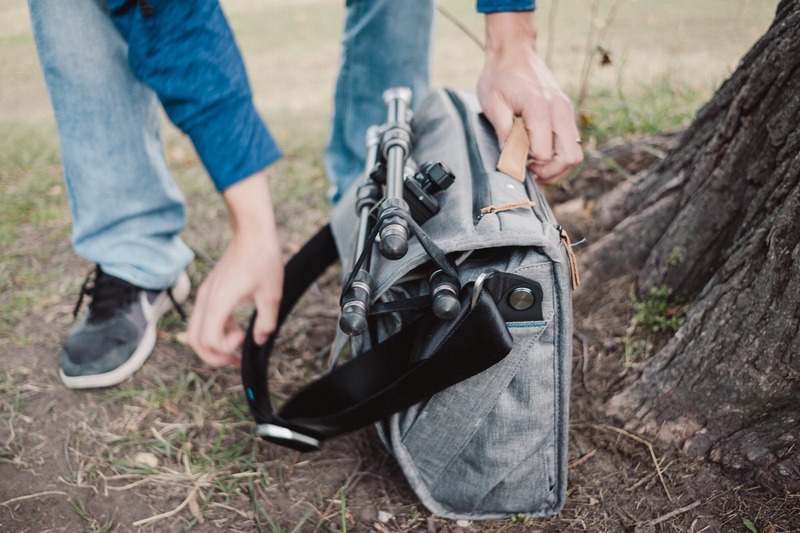 Like Peak Design’s Slide and Slide Lite camera straps, the Everyday Messenger’s shoulder strap is made of a seatbelt material and has an ultra-easy adjustable loop for wearing it high on your back or low at your hip. The middle of the strap is also padded and has some webbing on it to improve friction with your shoulder. The underside of the bag has a leather liner to keep the dirtiest and wettest elements away from your bag. Like the high-density padding, I’ve found this leather liner is great for maintaining the bag’s shape and letting you set it down standing up to pull kit out as needed. Do note, though, that the Everyday Messenger is very prone to falling on its back when a 15-inch MacBook Pro is kept in the laptop sleeve. The weight of the MacBook pulls down the rest of the bag. This happened less often when I had bigger, heavier camera kit and is now flat out annoying with smaller, lighter kit. Those poor zipper pulls made their way to the hand grip, as the hand grip’s leather is needlessly soft and provides no reassurance in lift. My brain tells me the hand grip is strong enough to carry a full load inside the bag (think full-frame camera and two full-frame lenses plus laptop), but my heart feels like it’s going to give way. Really though, the actual materials and durability of the bag — although not actually lacking — could come in well short of the bar and I’d still recommend the Everyday Messenger. It’s all thanks to those FlexFold dividers. First, a quick addendum. The Everyday Messenger was the original Everyday bag — Peak Design launched a second Kickstarter to fund the creation of an Everyday Backpack, Tote, and Sling. Each of these extra Everyday bags earned top marks right out to the gate, in no small part because of the learning curve of the Everyday Messenger. Inside each of these new Everyday bags was the biggest selling feature of all: second generation FlexFold dividers. FlexFold dividers sold original Everyday Messengers on their own, yet Peak Design rested on no laurels — the second generation FlexFolds picked up right where the originals left off. FlexFold dividers are effectively origami dividers. 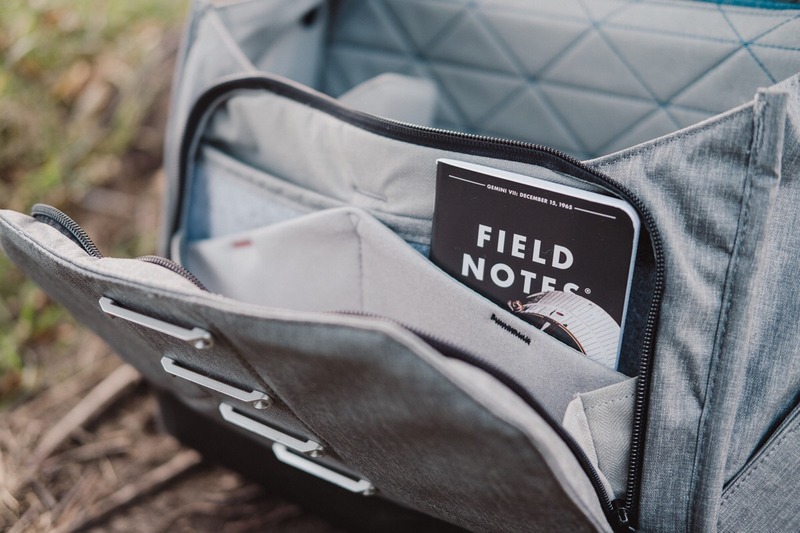 You can insert the dividers with hook-and-loop fasteners wherever inside the bag, and the dividers fold in on themselves to create shelves for keeping your gear more organized. These second generation FlexFolds have a split-folding top fold, allowing you to separate kit from top to bottom and left to right. I read on Reddit forums that photographers wanted to keep their original Everyday Messenger and purchase these second generation FlexFolds individually to build out their original bag. I even waited for the Everyday Messenger to be updated to include the second generation FlexFolds found in the Backpack, Tote, and Sling. The organization options are effectively endless. You can keep heavy gear below the fold of one divider and a small lens on top for quick access. You can fold a divider to create a shelf for your camera and store a backup body underneath. Or you can use the dividers to store your lunch in different compartments. Whatever your needs, these FlexFold dividers can fold to your liking. 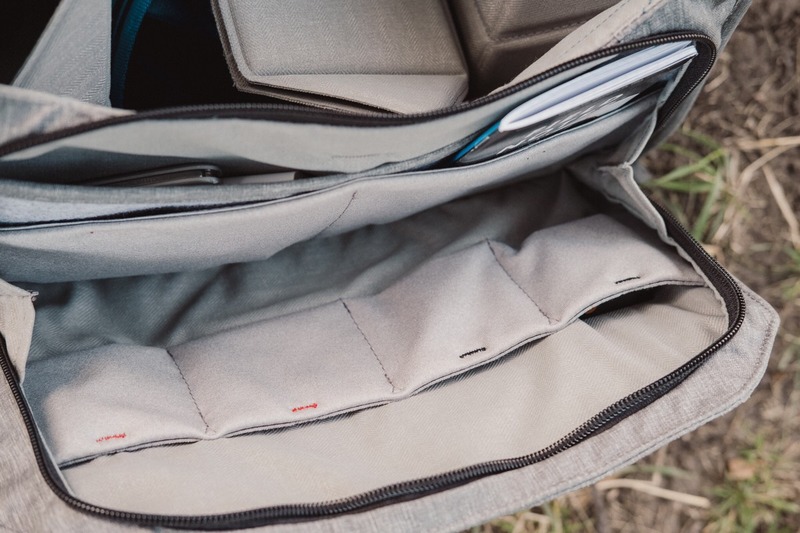 On the back of the Everyday Messenger is a separate laptop and iPad sleeve. 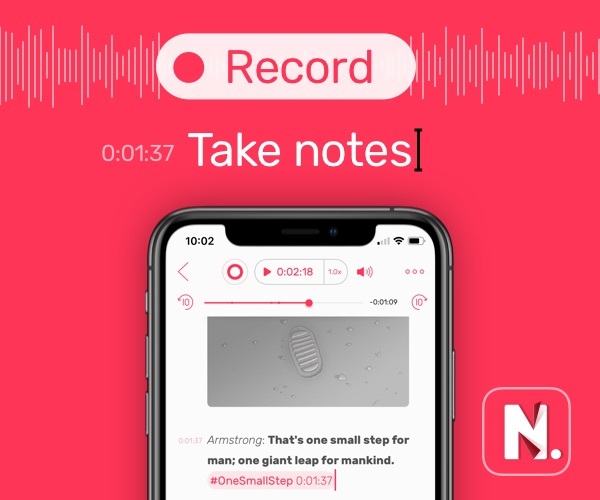 You can store up to a 15-inch MacBook Pro in the 15-inch Messenger and up to a 13-inch MacBook Pro in the smaller Everyday Messenger. 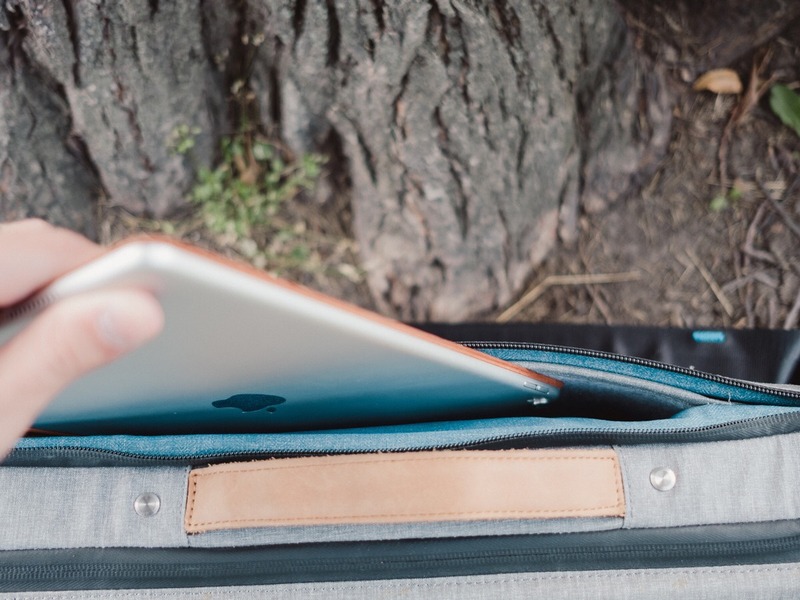 You can also fit a 10-inch iPad in the iPad sleeve. Full-sized iPad Pros will have to go in the laptop sleeve. There’s lots of give inside this laptop sleeve, making both a MacBook Pro and iPad easily storable and easily accessible. An iPad fits with a Smart Cover or case as well. No complaints here. 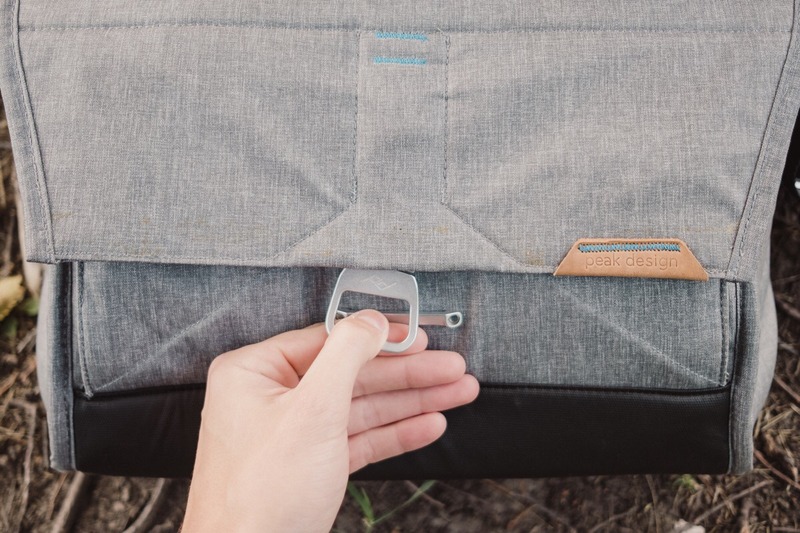 There are a bunch of wonderful touches to the Everyday Messenger’s front pouch. Zipping it all the way open provides a proper fold and far better access than other front pouches available and the many compartments inside are ready to store all sorts of photo bits. The front four sleeves are designed for batteries and SD cards. 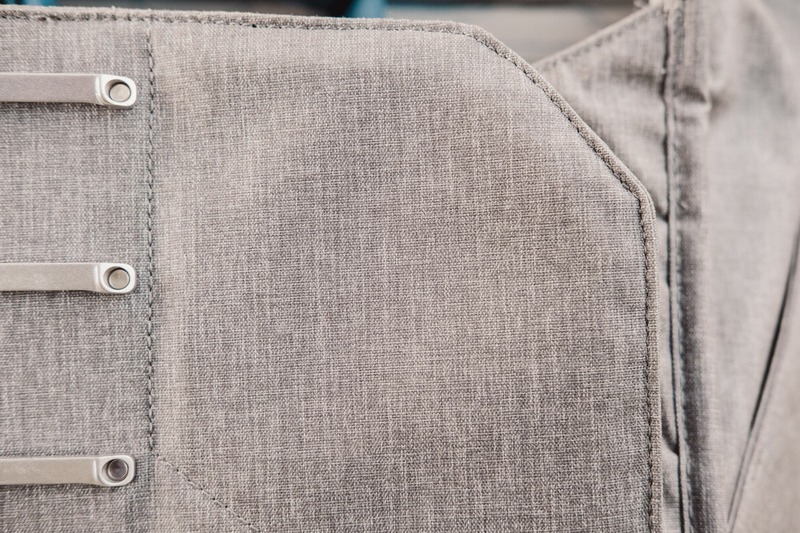 Two sleeves on the right are stitched with black stitching to indicate fully charged batteries or empty SD cards. Once depleted/filled, the red-stitched left-side compartments can store your batteries and SD cards. The stitching is a brilliant touch, especially if you burn through batteries. The remaining four back compartments in the front pouch can fit a range of stuff. Cords, cables, and accessories work particularly well, provided you roll them up in a proper fashion. 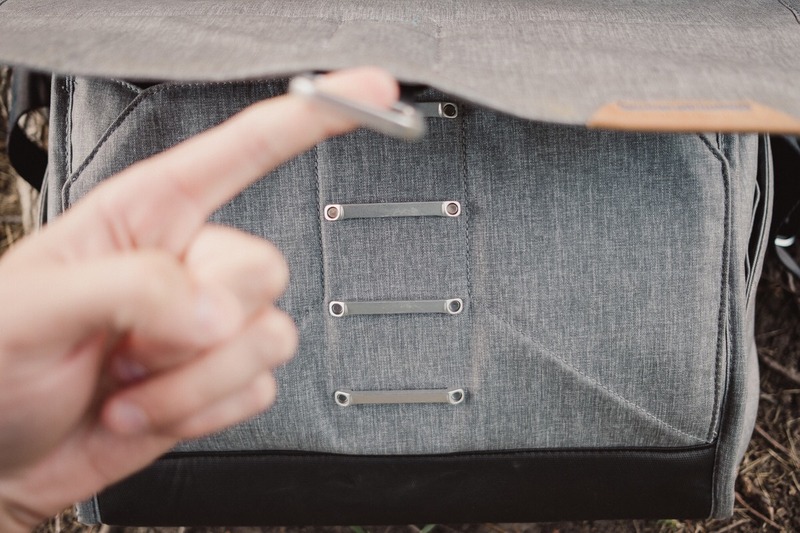 These slots can also fit a Field Notes book and a pocket knife or Allen wrench in a pinch. I do find myself searching for pen sleeves, however. Anything longer or wider than a Field Notes book just kind of gets thrown in the front pouch without a compartment, and pens are the odd man out more often than not. When pens sit at the bottom of the pouch, they tend to make the front pouch bulge pretty quickly, making closing the bag more difficult. Pen sleeves are somewhat old-fashioned, but I do miss having them in the Everyday Messenger. Closing the bag itself is perhaps the hallmark experience of the Everyday Messenger. Peak Design’s patented Maglatch system uses magnets and ladder-like ribs to adjust to the interior load and close securely with minimal effort. Simply pull down on the Maglatch and pull the lid over top of the front pouch. You’ll feel Maglatch lock into place. Once locked, you have to pull Maglatch down and away from the bag to open for access. Maglatch is probably five times faster than opening via other latch mechanisms found in ONA or ThinkTank bags. Whether it’s as secure could be up for debate, but I’ll trade the highest levels of security for a no-look, one-handed mechanism any day. 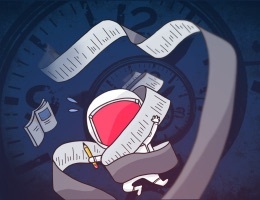 It’s taken 1,400 words to go over the Everyday Messenger’s basic features, but it has a smorgasbord of hidden tricks up its sleeve. The top flap has two evident zippers: one for the laptop/tablet sleeve and the other for quick access to the interior of the bag. 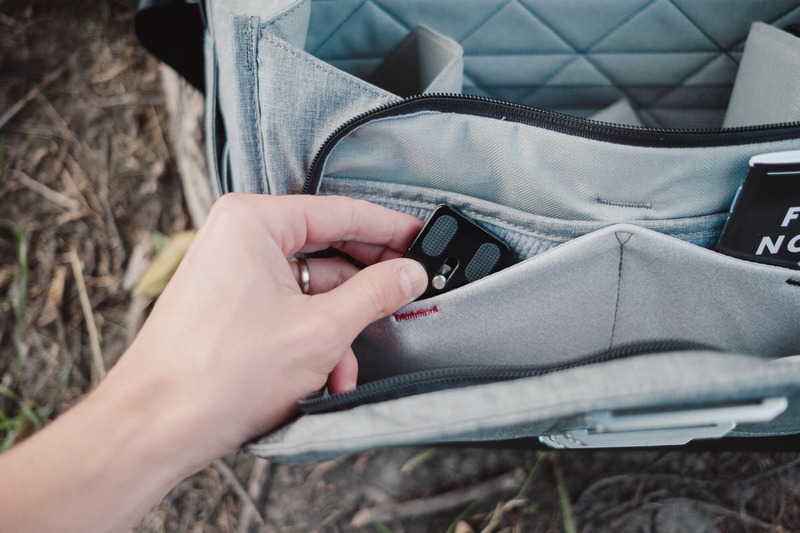 The second zipper is great for quickly jumping into your bag to grab your camera, rather than having to pull down on Maglatch and open the flap to access your kit. 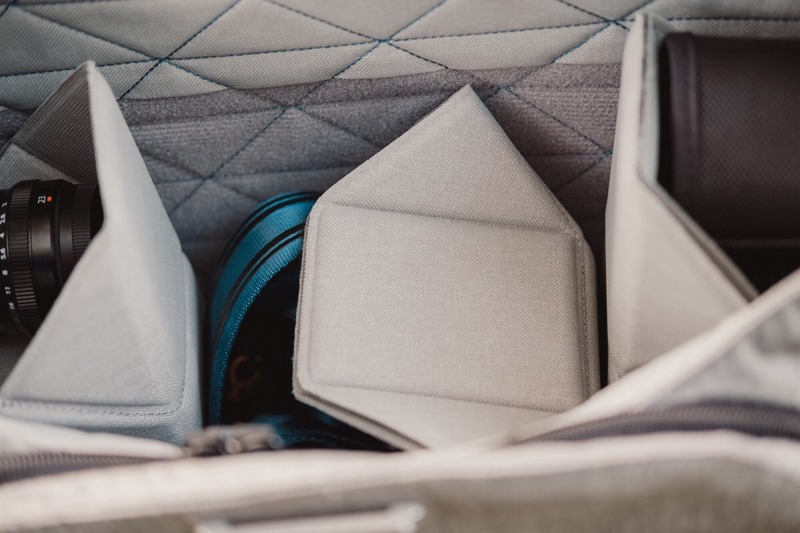 A rear-side luggage pass through is great for travellers, especially since the Everyday Messenger is sized perfectly for carry-on and for fitting underneath airplane seats. 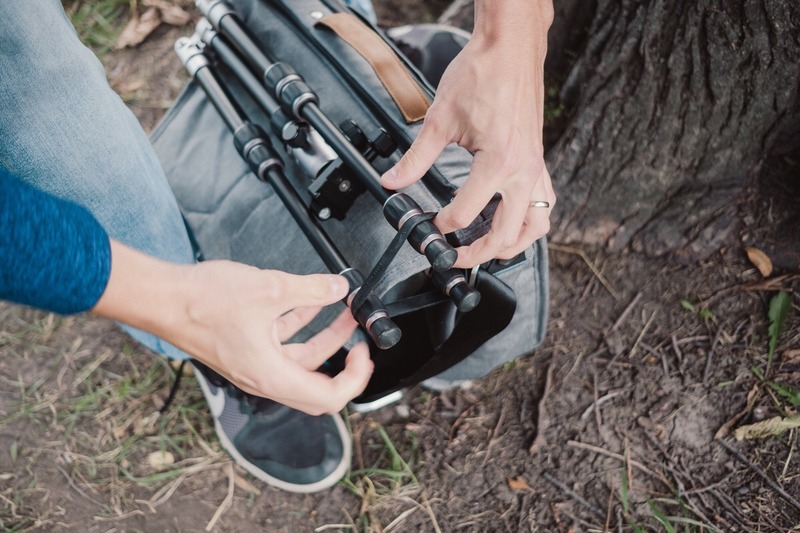 A second stabilizer strap pulls out of a hidden compartment and attaches to the larger two-inch shoulder strap. This is great for carrying the Everyday Messenger higher up on your back when cycling or hiking. Two side pockets are available to provide quick access to your keys or smartphone. There’s also a hidden compartment with an Anchor Link. 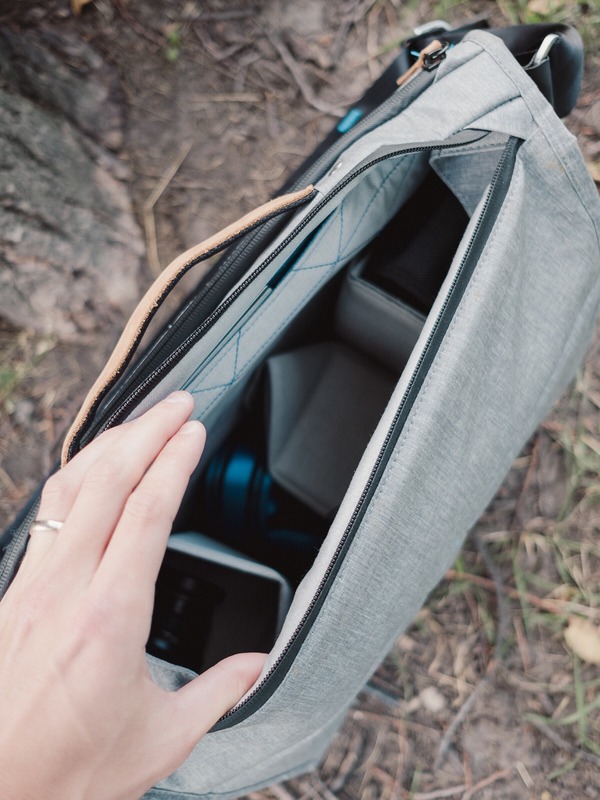 Just inside the second zipper on top of the Everyday Messenger is a quick access pocket for storing your iPhone, passport, or other essential belongings. This is the one sleeve in the bag that I feel is good for carrying pens. Both sides of the bag have magnet side straps perfect for latching on Peak Design’s Capture Clip. Inside the top flap is another extra-long zippered compartment for storing any lengthy objects you may need to carry. This sleeve could also be good for carrying pens, but it’s more difficult to access. 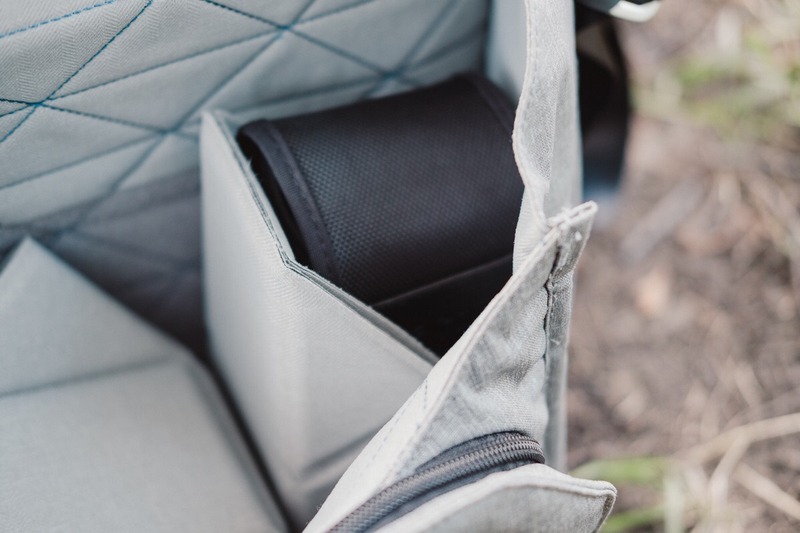 This extra-long zippered compartment pulls double duty and acts as a sleeve for carrying a tripod. Simply throw one tripod leg through the sleeve and secure all three legs on the other side of the bag with the provided elastic. Despite being built for photographers, the Everyday Messenger checks a lot of boxes for general messenger bag use. I used the Everyday Messenger for a few months for carting my MacBook, lunch, and other necessary gadgetry back and forth to the office. While the bag certainly works for this type of use, the large padded area designed for camera kit becomes pretty bulky when not in use. As I’ve alluded, I also couldn’t find great spots for carrying pens and papers. Sure, papers could slide into the laptop compartment, but there were limitations to this as well. Eventually, I returned to an old Booq messenger bag I bought back in college for going back and forth to the office. 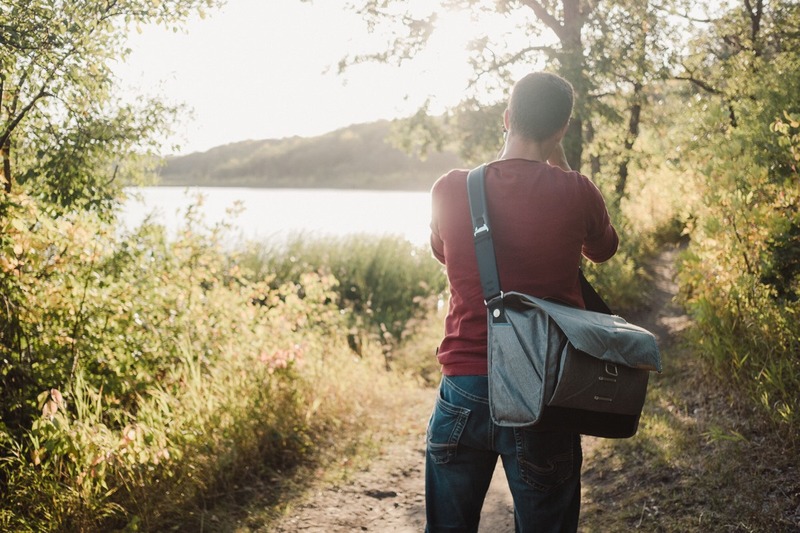 I also think the Everyday Messenger is somewhat overkill for photographers with simple kits. If you have a camera like the Leica Q or Fuji X100F, or if you have a mirrorless camera and only one or two small lenses, the Everyday Messenger could be overkill. There’s a lot of space inside the bag — particularly the 15-inch bag — and it makes little sense to cart around such a large bag with such a small kit. 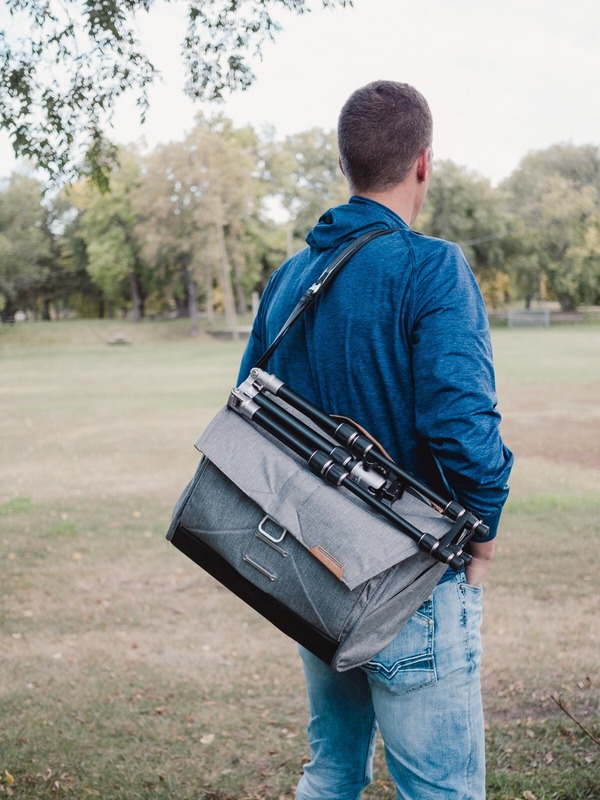 However, for those with medium sized kits, full-frame kits, or the need to carry around a full-sized laptop each day, the Everyday Messenger is quite the catch. Organizing lenses, flashes, chargers, and other necessities between the FlexFold dividers is a dream come true, while all-day shooters who need extra batteries and SD cards will surely welcome the nice touches in the front flap. Of course, all the extras are aspects all bag makers should be emulating. 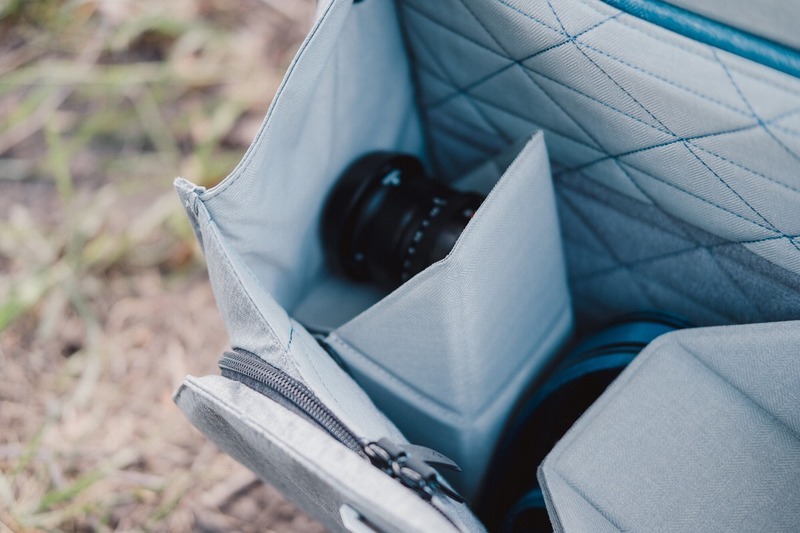 The top flap zipper is brilliant for quickly accessing your camera, as are the extra pockets and tripod sleeves built into the top flap. And none of this mentions the absolutely best quality shoulder strap I’ve ever come across. Peak Design’s materials, structure, and handy touches carry an expensive — but reasonable — price tag. The Everyday Messenger as shown (15-inch) goes for $250 USD, while the smaller 13-inch model goes for $220 USD. These prices aren’t catastrophically high, but you’re not going to walk out of the store thinking you stole the thing. And of course, the only color to buy is the second-generation Ash color. The other colors shouldn’t exist. My opinion, of course. 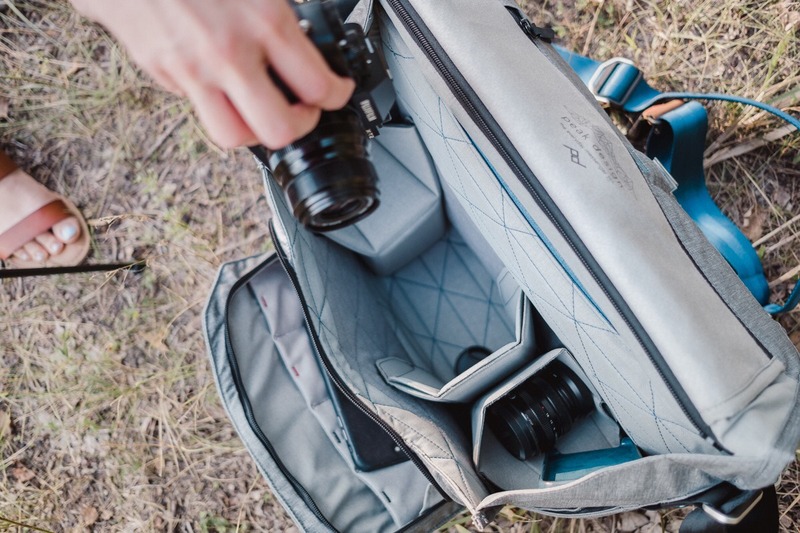 For photographers who like messenger bags, the Peak Design Everyday Messenger is sure to rank right at the top of the wishlist. Fortunately, if messenger bags aren’t your thing, the Everyday Backpack (20L and 30L), Tote, and Sling (5L and 10L) are all designed with the Messenger in mind, but fit different uses. I know a few folks who swear by the Sling.